Straton Electricals Pvt. 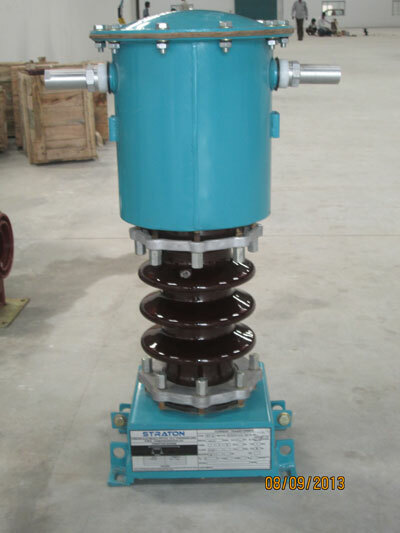 Ltd. is one of the leading Potential Transformers Manufacturers in Hyderabad. Straton Electricals the Potential Transformers Manufacturers in Hyderabad is manufacturing two types of Potential Transformers. Epoxy Resin Cast Potential Transformers & Outdoor Type Oil Cooled Potential Transformers. The Epoxy Resin Cast Potential Transformers are capable of producing the system voltage of upto 33KV. The Straton Electricals the Potential Transformers Manufacturers in Hyderabad makes the Epoxy Resin Cast Potential Transformers that are Non-ageing Epoxy with Class B insulation. These transformers are Non Hygroscopic. Made with Vacuum cast under controlled conditions. The Partial discharges as per allowable limits. These Potential Transformers Manufacturers in Hyderabad are Designed to work in high ambient in enclosed switchgears.It has good mechanical stability under fault conditions. Straton electricals Potential Transformers Manufacturers in Hyderabad also manufacturers Outdoor Type Oil Cooled Potential Transformers with a System Voltage upto 33KV. Straton Electricals Potential Transformers Manufacturers in Hyderabad follows the industry standards and procedures in manufacturing these Potential Transformers. These Transformers are made to sustain tough working conditions. Plot No.D-40& D-25/A, Phase - IV(Extn), IDA, Jeedimetla, Hyderabad - 500055.